Investment from leading VC helps fund expansion, product development; Veeam’s Ratmir Timashev spearheads leadership appointments, and Jason Judge and Andy Langsam join as CEO and COO. N2W Software, provider of cloud-native data protection and disaster recovery for Amazon Web Service (AWS), announced today it has closed a round of funding. The capital investment, led by leading global private equity and venture capital firm Insight Venture Partners, will be used to enhance N2W’s product offerings to further help companies striving to secure, manage and protect critical data and infrastructure hosted with AWS and other public cloud providers. N2W also announced that it is welcoming Ratmir Timashev, co-founder of Veeam Software, to its Board of Directors. Timashev is one of the most highly regarded figures in the backup and disaster recovery industry. His presence will be a major asset in helping guide N2W through the next stage of its development. Jason Judge and Andy Langsam have also joined the company as CEO and COO, respectively. The pair bring an established and successful track record of building enterprise software companies. Judge was previously CEO of 5Nine Software, Veriato, and ScriptLogic while Langsam was part of the LOGICnow team that was recently acquired by SolarWinds and part of the SciptLogic team that was acquired by Quest Software. 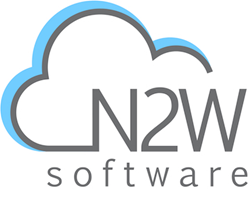 N2W Software was founded in 2012 with the mission of providing enterprise-class data protection for production environments deployed in the public cloud. Cloud Protection Manager (CPM) from N2W Software was designed and built from the ground up to meet the backup and DR requirements of the most demanding customers migrating to the public cloud. CPM is now a leading enterprise-class backup, recovery, and disaster recovery solution specifically optimized for Amazon’s AWS EC2 infrastructure. Learn more at http://www.n2ws.com. N2W Software is seeking motivated marketing, sales and development talent looking for a career in an exciting growth stage startup focused on products and services for the rapidly expanding public cloud. Visit http://www.n2ws.com/company/careers.html for more information. Cloud Protection Manager from N2W Software enables rapid recovery of Amazon Web Services (AWS) EC2 instances, including all volumes and configurations, with just a simple mouse click. Cloud Protection Manager can also instantly recover EC2 instances to other AWS regions or AWS accounts, ensuring a simple and reliable disaster recovery plan. For more information, to request a demo, or try Cloud Protection Manager (CPM) for free, visit http://www.n2ws.com. Insight Venture Partners is a leading global venture capital and private equity firm investing in high-growth technology and software companies that are driving transformative change in their industries. Founded in 1995, Insight has raised more than $13 billion and invested in more than 280 companies worldwide. Our mission is to find, fund and work successfully with visionary executives, providing them with practical, hands-on growth expertise to foster long-term success. For more information on Insight and all of its investments, visit http://www.insightpartners.com or follow us on Twitter: @insightpartners.